Everyday at Nicuesa we are grateful for being living in such a wonderful paradise. Just by being in the Osa Peninsula and Golfo Dulce, you can tell that you are in a very special place. The breathtaking scenery of the Osa Region is more than enough to feel Mother Earth's power. But... What is it about this place that makes it so extraordinary? The Osa region of Costa Rica is a true biological treasure. 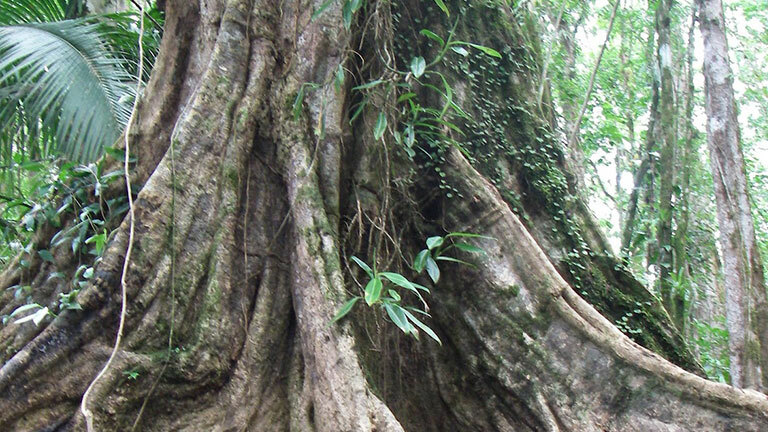 It is the healthiest primary rainforest on the whole pacific coast in Central America. In this entire region it is the forest that contains the tallest trees and supports some of the biggest populations of endangered fauna. There is an exceptionally high number of endemic species, meaning that they occur only in this place in the world. Within ACOSA, or the Osa Conservation Area, there is a cluster of protected areas, 17 in total, including the Corcovado National Park and Piedras Blancas National Park. This patch of protected area represents only 3% of the country's territory, but is home to half of the Costarican plant and animal species. That is an extremely high level of density of species, considering that Costa Rica contains 4% of the world's biodiversity. Its uniqueness lies in the junction of several factors. A very wide variety of ecosystems can be found here, due to variability in conditions of elevation, rainfall, temperature and morphology of territory. There is abundant rain (5-6 meters per year) and sunlight, and like the rest of the country, it is the very bridge between North America and South America, thus it harbors flora and fauna from both land masses. The "Golfo Dulce" (literally, "Sweet Gulf") is the marine equivalent of the lush, pristine jungles in the area. Commonly called a gulf, it is actually a fjord, one of the only four tropical fjords in the world. With a maximum depth of 700 feet, it contains very different habitats that range from warm, shallow marine coral formations where little fish abound, to the cold depths that only cetaceans can explore. The order Cetacea comprises whales, dolphins and porpoises. Surprisingly, their closest terrestrial relatives are ungulate mammals, which include horses, cows, tapirs and deer among others. It was a long evolutionary way to adjust a terrestrial mammal for life in the ocean. Some of the most obvious adaptations are the transformation of hind limbs into a flattened tail, the fusing of cervical vertebrae that allows no neck movement whatsoever, and the shift from front nostrils to blowholes at the upper part of the head. Of all marine mammals, cetaceans and manatees are the only ones that spend their whole life in the ocean. These are truly amazing animals, it is a very remarkable fact that terrestrial mammals evolved to go back into the ocean, from which their ancestors had emerged many millions of years ago. 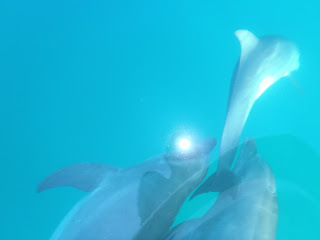 There are two suborders within the Cetacea order, Mysticeti and Odontoceti. Mysticeti, or baleen whales (also called toothless whales) have mouth plates instead of teeth and have two blowholes. All members of the Odontoceti suborder (which includes all dolphins and toothed whales) have teeth and only one blowhole. In the waters that surround the Osa region, biologists have reported as much as 23 species of cetaceans, including the Sperm Whale, Orcas, Bryde's whale, and several species of dolphins. Among the more commonly seen cetaceans around the Golfo Dulce, are the spinner dolphins, spotted dolphins, bottle nose dolphins. All these are resident and can be seen year round. Humpback whales on the other hand, seasonally come to breed and nurse the calves. Populations from the south arrive from August through November, and populations from the north arrive from November through June. This overlap in breeding seasons makes the Golfo Dulce an extremely rare spot where different populations meet, promoting genetic variety of this species. Being so close to all of these biodiversity is a reason to celebrate. 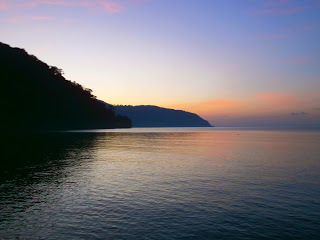 Therefore, next 13th of May 2012, Playa Nicuesa is going to be part of the Golfo Dulce Festival, that is taking place on Puerto Jiménez. Keep connected for the news of this event on this blog soon!! !